Hello there! March is here and Spring is just around the corner. I hope anyway. I am so ready to see some pretty flowers and green grass! Six months of winter is beautiful, but I tend to get a little tired of the cold temps. 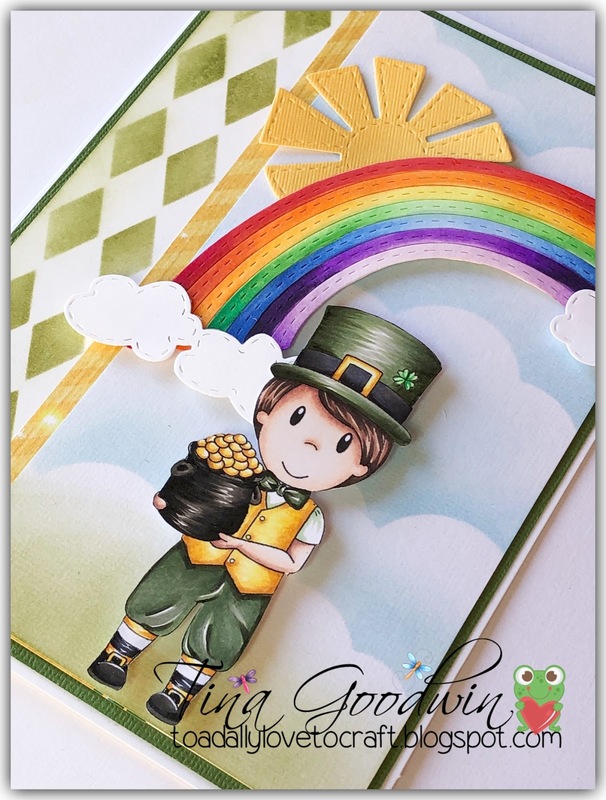 Anyway, today I am sharing a card that I made using Lucky Jack. I colored Lucky Jack with Copic markers. I think he is the cutest! 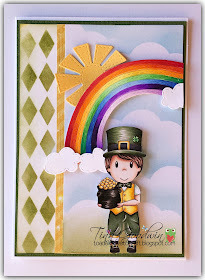 The dies and the stencil that I used are from La-La Land Crafts. 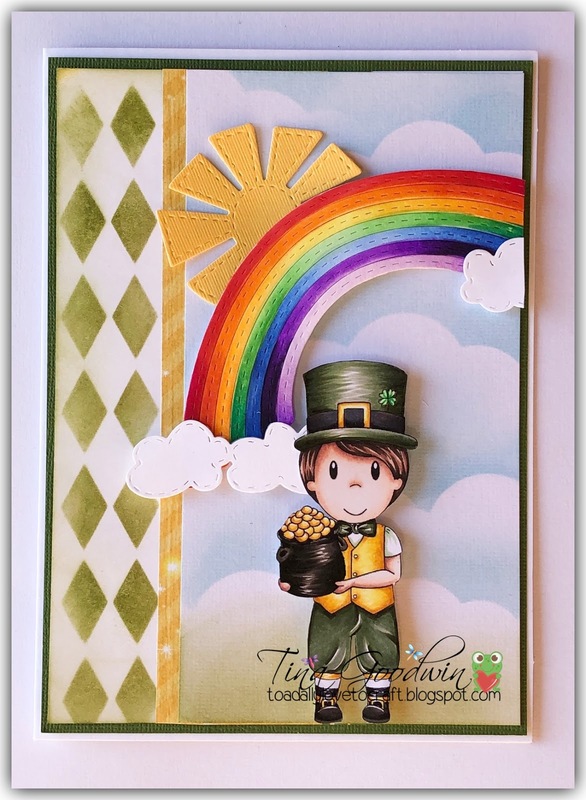 The background was made using a the cloud border die and distress inks.